Butler softball during a play at the plate. The Bulldogs went 1-4 this weekend. Jimmy Lafakis/Collegian file photo. The Butler softball team moved to 9-16 on the year with a 1-4 showing at the USF Series in Tampa, Florida, March 15-17. Amid the rocky weekend, each of the Bulldogs four losses were by less than three runs. To open the weekend, the Bulldogs fell to No. 21 Minnesota in a 3-2 pitcher’s duel that came down to an error in the last half-inning. Both starting pitchers combined for 21 strikeouts in the game. It took 5 1/2 scoreless innings before Minnesota loaded the bases and grabbed a 2-0 lead. With the Bulldogs down to their final three outs in the game, senior catcher Sammy Andersen responded in the next half inning with a 2-run home run to tie the game. In the bottom of the seventh, Hope Brandner singled to lead off for the Gophers. A pinch runner advanced to second on a passed ball and then scored on an error by pitcher Alyssa Graves. Graves pitched six innings for Butler and struck out 10 batters in what was the second-highest strikeout total of her collegiate career. The Gophers stranded nine runners in the matchup. Facing host South Florida in their second matchup of the weekend, the Bulldogs fell 4-1 to the Bulls. Through five innings, the Bulldogs trailed 2-0 after a pair of USF runs in the bottom of the third. 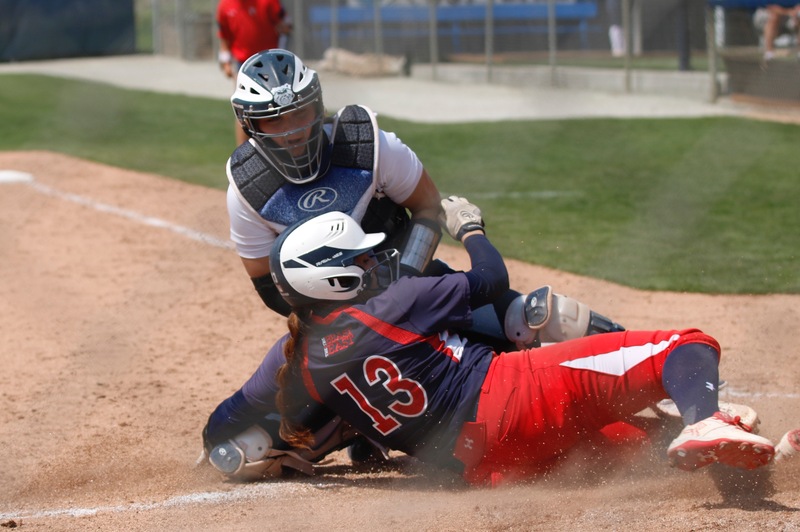 Butler threatened to tie the game in the sixth inning as the Bulldogs loaded the bases with one out and forced a pitching change for the Bulls. Nicole Doyle struck out back-to-back batters to strand three runners and halt the Butler rally. Butler’s lone run came after USF scored two more runs in the bottom of the sixth. Karli Ricketts singled into shallow left field to score Jenna Foreman, who reached on an error to lead off the inning. In their second day in Tampa, the Bulldogs fell to Princeton and North Florida by a combined three runs. After the Tigers grabbed a 2-0 lead, Claire Gilliland hit her second home run of the week, a grand slam that gave Butler a 4-2 lead. Princeton then scored three unearned runs in the fifth inning off an error at second base to sink the Bulldogs. Ricketts took the loss in 0.1 innings of relief for the Bulldogs. In their third matchup of the weekend, the Bulldogs fell to North Florida off a game-winning run in the seventh inning. Butler trailed 1-0 in the top of the seventh until Elyse Babb hit a 2-out solo home run that tied the game at 1. The Ospreys then loaded the bases off an intentional walk in the bottom of the seventh and won on a walk-off single into right field by Ashley Goebel. Graves pitched 6.1 innings for the Bulldogs and struck out seven batters. The Bulldogs closed the weekend with their lone win of the USF Series, a 6-5 eight-inning victory over LaSalle. The win featured a Butler record-tying performance from freshman Lauren Fey, who recorded five hits. Fey tied Jenny Jacobs, who had five hits against Longwood during the 2008 season. As a team, the Bulldogs posted their highest hit total of the season with 15. Both teams traded runs early in the matchup and LaSalle led 5-3 heading into the bottom of the sixth. The Bulldogs tied the game off a pair of sac-flies in the sixth after leadoff singles from Foreman and Fey. In extra innings, the international tiebreaker rule was used and a runner was placed at second base. The Bulldogs put Bri Avery at second, advanced her to third off a sacrifice and scored the winning off a fly out to center field. Ricketts, Graves and Kailtin Doud shared the pitching duties in the win as the staff struck out 11 batters. Doud, who picked up the win, pitched three relief innings, allowed one run and struck out four batters. Butler will travel to Miami (Ohio) on March 20 before opening Big East conference play with a three-game series against DePaul March 23 and 24.